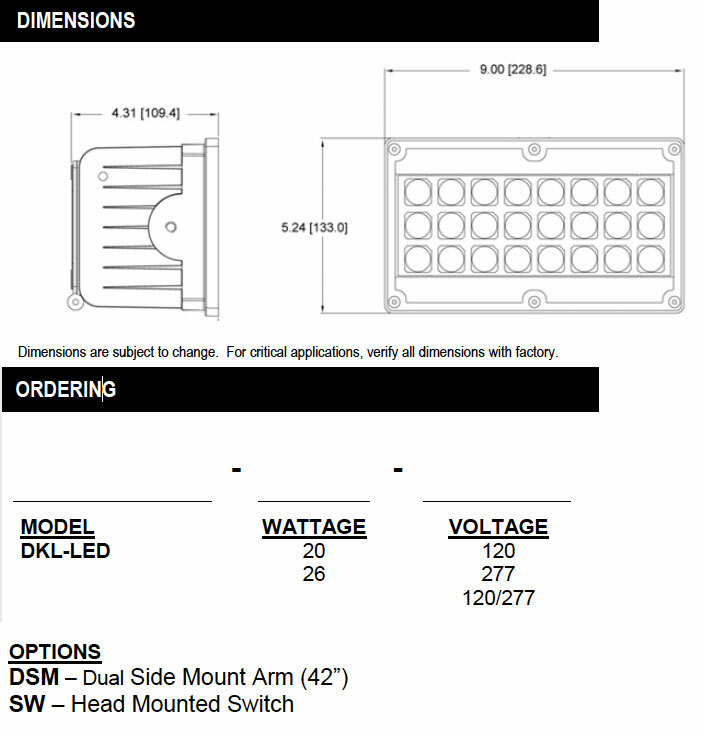 The DKLED Dock Light LED Luminaire is available in 20W and 26W LED. LED technology offers an unprecedented hour lamp life. This fixture is virtually maintenance-free. Engineered for illumination of trucks and trailers while parked at dock for loading and unloading. Also ideal for use as Security Lighting. Designed to replace 100-350 watt quartz fixtures which are commonly used for these dock lighting applications. May be mounted either to existing side mount arms or overhead arm. A 20W/26W LED is comparable to 70-100W HID. 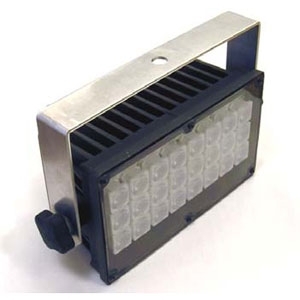 Die-cast aluminum lamp housing and base with robust thermal platform. Extruded aluminum power supply housing with powder coat paint. Polycarbonate lens system.